Zlatan Ibrahimović, Marcos Rojo, Marouane Fellaini and Michael Carrick ruled out. Paul Pogba doubtful. Ádám Bogdán, Adam Lallana and Sadio Mané ruled out. Nathanial Clyne doubtful. Liverpool FC (nicknamed The Reds) are an English professional football club based in Liverpool, England. 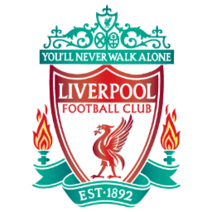 Liverpool were originally founded in 1892 as "Everton F.C. and Athletic Grounds Ltd" (Everton Athletic for short), before finalizing on the name Liverpool Football Club and Athletic Grounds Ltd after a dispute between the Everton FC board and John Houlding, the owner of Everton's former premise at Anfield Road. Liverpool's forays into competitive football started when they joined the Lancashire League. 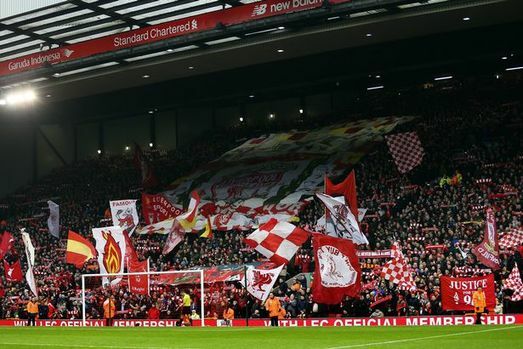 After winning the league title in their first season, Liverpool were accepted into the Football League for the 1893-94 season, following the resignations of Accrington and Bootle. One of the most successful and storied clubs in the history of European football, Liverpool have won 18 English league titles, 5 European Cups, 7 FA Cups, and 8 League Cups, peaking in the 1970s and 1980s, first under the enigmatic Bill Shankly, and then his 'Boot Room' successors. Although Liverpool's fortunes as a domestic and European force have dwindled in the past 25 seasons, they still have a massive global support-base. 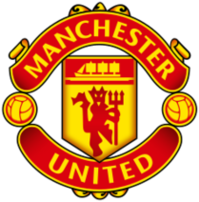 Liverpool have two fierce historic rivals - crosstown club Everton FC (matches between them are termed The Merseyside Derby), and Manchester United (who ironically ascended to consistent title-winning prominence as Liverpool declined in the Premier League era). First big test of the season. A lot of questions about how good we actually are this season will be answered in this game. I'm going with a 2-0 win for us. Can see Mourinho going horribly defensive and snatching a 1-1. We should really be testing that defence of theirs. Big Rom will have a field day against that "defence". Return of the King Bus. Hopefully it's a good game for once. The Old Trafford match was pretty decent last season but the Anfield tie was fecking dire viewing. I'd take a score draw. 4-3-3 should be how we line up, not sure about the RW\wide right forward position but I don't think Mkhi will be useful in this match considering how hard Liverpool press. We'll win 4-0. We always win 4-0. Maybe fast wingers beside Lukaku. Expect us to go 4-3-3 & look to hit them on the counter. As good as they are going forward, their defence is weak & our pace up-front can cause them problems. A lot of what is going to happen depends on the events during the international break. As we have seen with Aguero's injury, football is very unpredictable, not just on the field but also off the field (and this includes international breaks). If the lads come back with injuries, we are going to be in trouble. I also find there is a lack of continuity with the club during this period with the national team and as Jose has mentioned in the past, it makes life difficult for club coaches to refocus the minds and playing style of the players when they come back. Would love for us to smash them, but will take a 1-0 win any day. Hopefully we return without too many injuries. Always get nervous playing against Liverpool and they are notorious game raisers vs. the top 6 (5-0 spanking from City aside). Will be a very difficult game and I'd be delighted with a 1-1. Hope Red Rom tears them to shreds. Wonder if we'll play Ashley Young for this one. Probably not, right? He's been in great form offensively but it's too much of a risk to play him against Sadio Mané. Then again, would Blind or Darmian be that much better of an option? Hate international break with a passion. I'm generally very optimistic when it comes to United but I hate this fixture. I'm not expecting anything at all from it. Liverpool will game-raise like feck and Mourinho will set us up quite defensively in an attempt to hit them on the counter with long balls to beat their high press (not a bad tactic at all against this particular Liverpool side). I'd take a draw all day long. We are always sloppy immediately after them. Possibly the worst fixture we could have this time, too. Martial for Mata, Young for Darmian and I'd be happy with this. We have to cut the sloppiness out. We can't afford to be good for periods in the game, we need to be good from first minute till last. Our team is better, but such is this kind of game that form goes out the window. It's all about who shows up on the day. 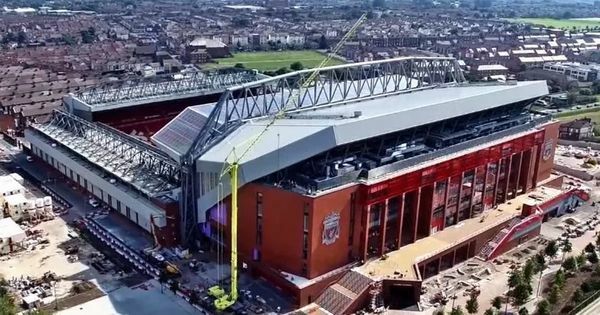 Anything can happen between now and then, but for the first time in a while I don't really feel nervous about going to Anfield (despite out decent record there in recent times). That's not to say I'm confident either, but I think we will have a good go. We tend to be, yes. Hopefully Mourinho are able to adress this and they are focused and ready. Why is it a fortnight away, not another international break surely? Ffs, they seem to come like school holidays nowadays. I don't know why they can't just have them in a neutral place and play the 5/6/7 qualifiers in two stints instead of home and away to teams like San Marino and Gibraltar. I long ago stopped giving a flying feck about international football, just interrupts the proper season and chances injuries for meaningless games. Would take a draw especially after the international break. Just to cheer you up, we have another one in november. I'd start Rashford on the right. Works hard and can whip a ball in. Then put Martial on the left and Mata behind Lukaku. Mkhitaryan I don't think would deal with their pressing and Martial and Rashford breaking would be quality. If we have a good gameplan we'll beat them. They're extremely one-dimensional. Hopefully Mouriniho has a plan. I can see Lingard being involved somehow though. He played at Juanfield last year, though he played as a defensive winger rather than a FB if I recall correctly. I guess it depends on what formation we use but you can't begrudge him a start as his forms been excellent. Hate playing these utter cnuts. I hope Jose is willing to commit men forward. There should be goals in it for us and players like Rashford, Martial and Lukaku can give nightmares to their back four. I think we will concede for the second time in this one (hopefully not the third). Any sort of result would be fine, performance here doesn't matter too much. Would take a draw tbh. Hope we don't go three at the back, but Herrera, Matic and Fellaini all need to start this. Just not sure if Micki or Mata should start. Micki's play in the last two league games has been poor and Mata has a good record against Liverpool. Pretty sure Herrera will be tasked with nullifying Coutinho. Key battles will be full backs vs Mane and to a much lesser extent Salah. Pretty confident our attack can get goals against their defence but we have to stop them to win this. Hope jose does not show too much respect to the Liverpool defence. He should target to win and increase the gap between us and Scouse. We always score, they always concede.. we also hardly ever concende so 2-0 to us. But, he will. The only one in their team who should be shown respect is Mane with his pace. Also, we would need to avoid giving away silly free kicks near the box, for Coutinho might just fire one in. Rest, I'm not too concerned about. They will target our LB no matter who we play there, their RW is their best player and our LB options are our biggest weakness.